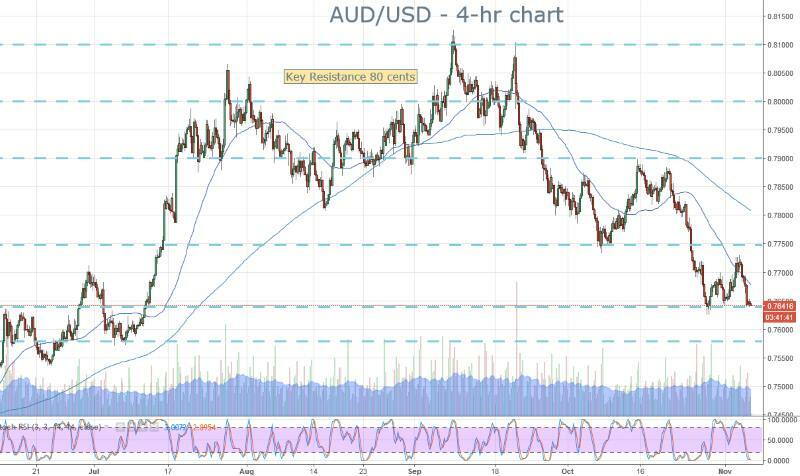 Is the AUD Getting Ready for a Big Down Move? This week the AUD will be in focus as we have the RBA releasing it’s latest interest rate decision. While no change in official rates is expected, the Aussie remains dangerously poised. The AUD/USD has been one of the weakest performers in recent times and there is every chance that there is some more to come. Last weeks FOMC sure didn’t help and is put some serious pressure on the AUD and the NZD. As it stands there is a big support level in the AUD sitting at 0.7640. We are right around that level. Any hint of trouble from the RBA might be enough to send the AUD tumbling. The next downside target is 0.7578 and I feel like we are every chance to hit that this week. The chart is looking awfully bearish to me.